My husband thought that he would look up buying some diapers in bulk for the new baby. So that we were not always at the store. He went to several different sites and then ended up at Amazon.com. I am glad that he took a screen shot of it, so here is the ad. You should take a look. I think that he is discouraged now about buying things like that online and in bulk. 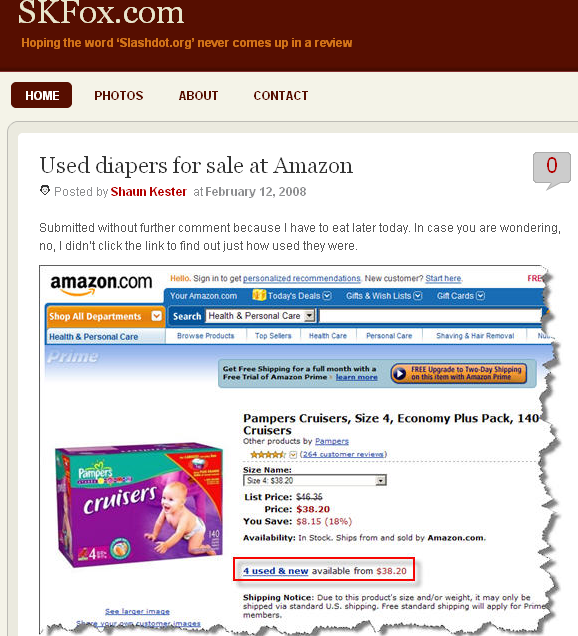 This entry was posted in Musings, The Kids and tagged bulk, diapers, online, used.